The hair is first bleached and then dyed in different colors. You will damage the hair if you bleach or dye this hair again. For your whole head, you need 8 to 10 pieces. 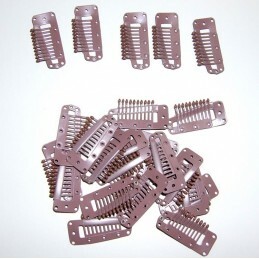 8 pieces for a normal hairstyle, 10 pieces gives you a perfect full head of hair. The width of the weave is 50cm/20”. Prices are per piece.